Day 7 of the new challenge from Books and Cupcakes where we will be focusing on children’s books! 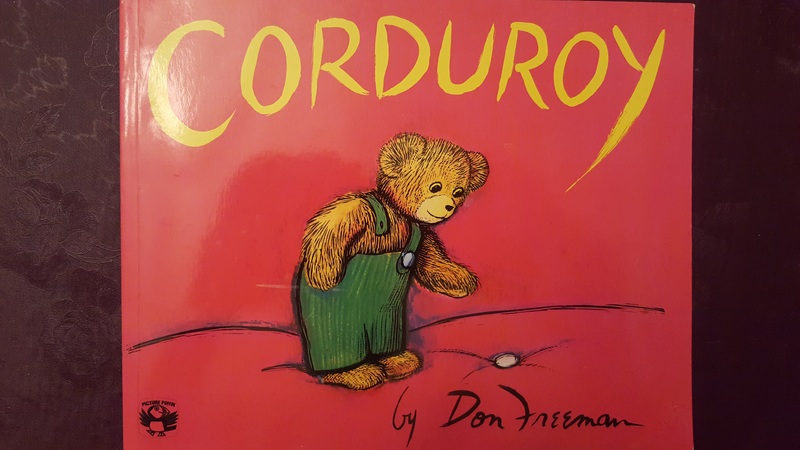 Today’s book is a family favorite, Curduroy, by Don Freeman. Curduroy is the story of a teddy bear named Curduroy who is stuck on a toy store shelf. Curduroy would very much like a friend and home. When he notices that he is missing a button on his overalls, he goes off in search of the button at night, in hopes that someone will love him if he can fix his outfit. It is a heartwarming story that really doesn’t get old.